As a small business working in knowledge-intensive, research-driven areas, I've got first-hand experience of the frustrations caused by mainstream research publishing: you find a research paper that looks useful, but it costs $30 to read the 15 pages if you haven't got some kind of institutional subscription. These costs keep going up, and even institutions are having to look critically at what they can afford, in what is known as the serials crisis. Recently George Monbiot stirred up a small storm by drawing attention to this — see one angry reaction, for example. The Open Access movement in academia has been working for decades to overcome the kinds of problems I experience. As the name suggests, Open Access is committed to all research publications (and sometimes data too) being freely available to anyone for the public good. Momentum has grown in recent years as online tools have made the editorial and distribution functions of publishing much more agile. Nevertheless, there's still a sense among many Open Access advocates that progress is stalling, or at least not nearly as rapid as it might be. At the start of the summer I was commissioned, along with Seb Schmoller and Nicky Ferguson, to do a quick piece of work to understand why Open Access was not sweeping all before it. Given the short deadlines, the brief we were given was tightly focused: after a brief literature review, we spoke only to researchers in chemistry and economics. "Scholarly communication ecosystem" — there's that word again. Now here's the real frustration. Despite this acknowledgement of the wider context of research publication, almost all the research on how to spread Open Access — including Moore's and our own — seems to focus on researchers and not on the other players in the ecosystem. 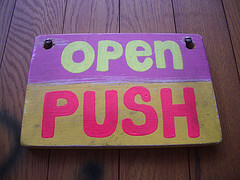 Continue reading "What's holding Open Access publishing back?"